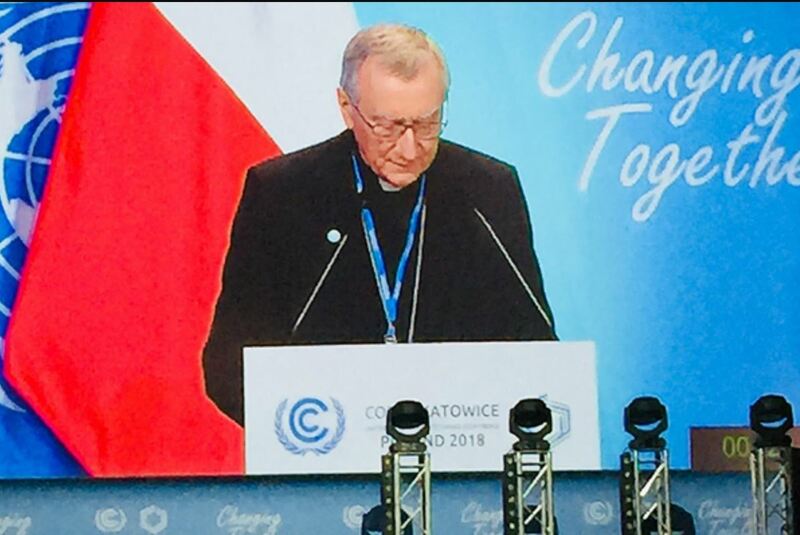 The Cardinal’s remarks came on December 3, 2018, during the XXIV Session of the Conference of the Parties to the United Nations Framework Convention on Climate Change (Cop-24) High-Level Segment, Katowice, Poland. The Cardinal stressed that action is an essential responsibility to future generations. And he praised younger people for their sensitivity to the climate change issue. On behalf of His Holiness Pope Francis, I extend a cordial greeting to all of you and wish to assure you of his closeness, support, and encouragement in these days of intense effort for a fruitful outcome of this meeting of the COP-24. After the adoption of the Paris Agreement, the Katowice meeting has the fundamental task of developing the Paris Agreement Work Programme. This document should be a solid set of guidelines, rules, and institutional mechanisms, aimed at facilitating a fair and efficient implementation of the Agreement, particularly at the national level. We are all aware how difficult this endeavor is. The complexity of this task, however, is amplified by the great sense of urgency to act, as was unmistakably stressed in the last Intergovernmental Panel on Climate Change (IPCC) Special Report. From this perspective, the information in this Report is even more worrying given that the current commitments made by States to mitigate and adapt to climate change are not sufficient to achieve the objectives set by the Paris Agreement. In this light, the IPCC document proposes a challenging route to be pursued; namely, it is still possible to limit global warming, but to do so will require a clear, forward-looking and strong political will to promote as quickly as possible the process of transitioning to a model of development that is free from those technologies and behaviors that influence the over-production of greenhouse gas emissions. The question is, therefore, this: is there sufficient political will to implement the many solutions we have available to promote the aforementioned model of development? In applying these three pillars, the Holy See would like to propose, as it has on previous occasions, a number of points that should be included in the core of the Paris Agreement Work Programme. Among them, I would like to indicate only a few: to encourage developed countries to take the lead; to advance sustainable consumption and production patterns and promote education in sustainability and responsible awareness; to strengthen financial sources and develop financial alternatives with particular attention to identifying incentives, eliminating subsidies, and preventing speculation and corruption; to ensure the full and effective participation of local populations, including indigenous peoples, in the decision-making and implementation processes; and to provide a follow-up and commitment review process in a transparent, efficient and dynamic manner, capable of gradually increasing the levels of ambition and ensuring adequate controls. Furthermore, a correct implementation of the Paris Agreement will be all the more effective as more appropriate job opportunities are provided. A just transition of the workforce and the creation of decent work is significant and must be combined with due attention to aspects such as respect for fundamental human rights, social protection and the eradication of poverty, with particular attention given to those people most vulnerable to climate extremes. Such a transition requires training, education, and solidarity. The scientific data at our disposal clearly show the urgent need for swift action, within a context of ethics, equity, and social justice. The transition to a reduction of greenhouse gas emissions is a problem not only within the domain of technology, but also a question of consumption patterns, education, and lifestyles. We are gradually becoming aware that climate change is an issue increasingly more moral than technical. From this point of view, the important contribution that local authorities, the business sector, the scientific community, and civil society can offer in this process must be stressed. Non-state actors, often at the forefront of the fight against climate change, bringing the “voice of the people”, show an important dynamic in finding innovative ways to promote a sustainable production and consumption system, as well as in fostering a change in lifestyle. All of this should be encouraged: non-state actors are and can do much to help policy-makers make fair and forward-looking decisions. As indicated by Pope Francis in his 2015 Encyclical Letter Laudato Si’, On the Care of Our Common Home, “strategies for a solution demand an integrated approach to combating poverty, restoring dignity to the excluded, and at the same time protecting nature”. A change of mentality is necessary, centered on core values capable of highlighting the ethical and human dimension of climate change. From this perspective, we have a great responsibility towards future generations. Today’s young people show a strong sensitivity towards the complex and multifaceted problems that are raised by the phenomenon of climate change. It is an educational challenge, where educational processes can awaken and are awakening this sensitivity in the youth, who represent our future. We cannot, however, expect the next generations to absorb the problems caused by the previous ones, placing upon them the full weight of this responsibility. This would be even less acceptable when we consider the sense of urgency so clearly invoked by the scientific community. As Pope Francis has stressed: “Although the post-industrial period may well be remembered as one of the most irresponsible in history, nonetheless there is reason to hope that humanity at the dawn of the twenty-first century will be remembered for having generously shouldered its grave responsibilities”. COP-24 may be a turning point if it can show that the collaborative and proactive spirit of Paris is still alive. 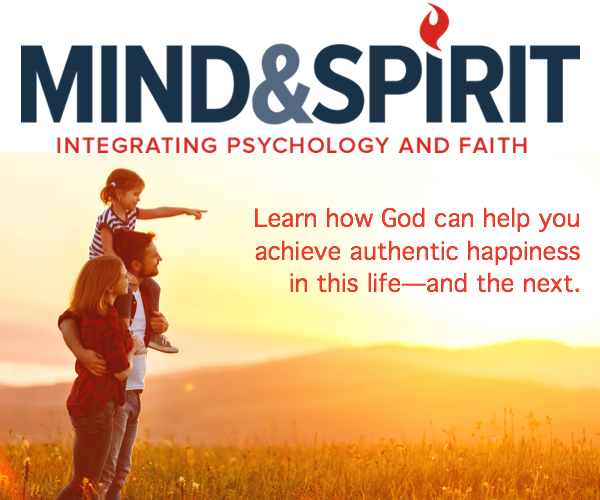 Attitudes such as indifference, resignation, and denial, or the limited hope in some technological solution that may be only partial or even counterproductive, must not prevail. Furthermore, it would be tragic for individual or private interests to prevail over the common good, especially when these tend to manipulate information to protect their own initiatives. We should avoid falling into these dangerous attitudes that certainly do not foster a process in which sincere and productive dialogue, solidarity and creativity are so necessary for the construction of the present and future of our planet. We are standing before a challenge of civilization for the benefit of the common good. This is clear, as it is also clear that the solutions we have at our disposal are numerous and often within our reach. In the face of such a complex issue as climate change, where the individual or the national response in itself is not sufficient, we have no alternative but to make every effort to implement a responsible, unprecedented collective response, intended to “work together to build our common home”. On behalf of His Holiness Pope Francis, I express my best wishes for the work of COP-24, hoping that it will be fruitful and successful in building our common home. Upon all the participants of this important conference, I invoke the blessing of Almighty God, which I ask you to carry back to the citizens of the countries you represent. 1. Cfr., IPCC: Summary for Policymakers of the Special Report on the impacts of global warming of 1.5°C above pre-industrial levels and related global greenhouse gas emission pathways, in the context of strengthening the global response to the threat of climate change, sustainable development, and efforts to eradicate poverty, 6 October 2018. 3. Cfr., Pope Francis, Address at the United Nations Office in Nairobi (U.N.O.N. ), 26 November 2015. 4. Laudato si’, n. 139. 5. Cfr., Pope Francis, Message to the COP 22, 10 November 2016. 6. Laudato si’, n. 165. 7. Cfr., Pope Francis, Message to the COP 23, 7 November 2017. 8. Cfr., Laudato si’, n. 54. 9. Laudato si’, n. 13.